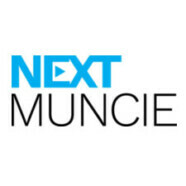 Next Muncie initiative aims to revitalize Muncie starting in the central city | Vandewalle & Associates, Inc.
Other members of the leadership team include Mayor Dennis Tyler; Jeffrey Bird, president of IU Health East Central Region and Next Muncie co-chairman; Susan Carlock, vice president of business development and corporate relations for Mursix Corporation; Jud Fisher, president and chief operating officer of Ball Brothers Foundation; Mark Hardwick, executive vice president, chief operating officer and chief financial officer of First Merchants Corporation; Jay Julian, president/CEO and chief economic development officer of the Muncie-Delaware County Chamber of Commerce; Jeffrey Scott, chancellor of Ivy Tech Community College Muncie Campus; Kelly K. Shrock, president of the Community Foundation of Muncie and Delaware County, and Vicki Veach, executive director of Muncie Downtown Development Partnership. Bird told The Star Press he hopes the community will practice patience regarding the initiative. “Changes to help Muncie realize its greatest potential will take time,” Bird said. Read the full Star Press article here.